This post is sponsored by Babies “R” Us. All thoughts are my own. The end of a long cold winter can only mean one thing.. Baby season is right around the corner! Shopping for a new baby can be daunting, specially with so many baby products out there. That’s why it’s known that us moms look to other moms for their experiences with tried and true products. Am I right? Now the shopping process is even easier. Babies “R” Us has created the annual Love-It list, in partnership with go-to baby resource, What to Expect.com. The Love-It list is an annual guide for parents to simplify their baby registry needs and it’s full of products that were voted by mom’s as products they love. 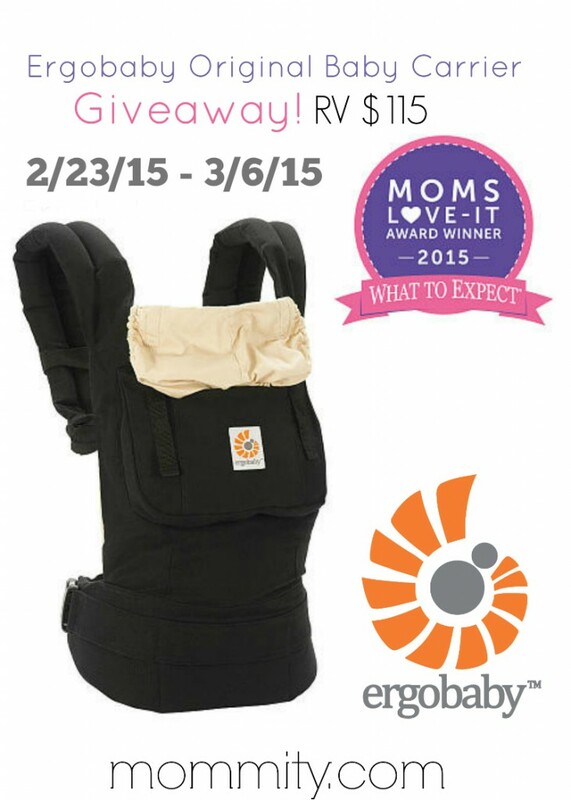 One of the voted “most-loved” items that made it into the winner’s circle is the ErgoBaby Original Baby Carrier. Who can deny that? We love Ergo! You can check out the entire list of baby items that made the “Love-It” list here. These innovative baby carriers include mom-approved safety and security features, with adjustable padded shoulder straps and waist belt, a large zippered storage pocket, and an adjustable hood that keeps baby shielded at all times. The Ergobaby carrier is a staple with respected celeb parents globally, including Gwen Stefani, Orlando Bloom and Natalie Portman, to name a few. For more information on the Ergobaby Original Baby Carrier, please click here. Giveaway Terms & Conditions: No purchase is required to enter or win. This giveaway is open only to individuals who are legal residents of the United States, who are 18 years of age or older. Giveaway ends on March 6th, 2015. Winner will be selected randomly via the Rafflecopter application. Winner will be contacted via email and will have 48 hours to claim prize before a new winner is drawn. Mommity is not responsible for shipment of prize. This promotion is in no way sponsored, endorsed or administered by, or associated with, Facebook. Starburst Juicy Fruit Gum Now Available at Target! !